Appreciating housing prices and limited inventory levels have a created an ideal market for sellers, who often receive multiple bids for their homes. But how long will this last? Giving Tuesday, celebrated the Tuesday after Thanksgiving, is a global movement dedicated to giving back. From random acts of kindness to food drives and donations to nonprofits, today is a day to appreciate your community and help others. Last year, charity donations on Giving Tuesday totaled over $117 million in over 70 countries and emphasized the importance of philanthropy over consumerism. 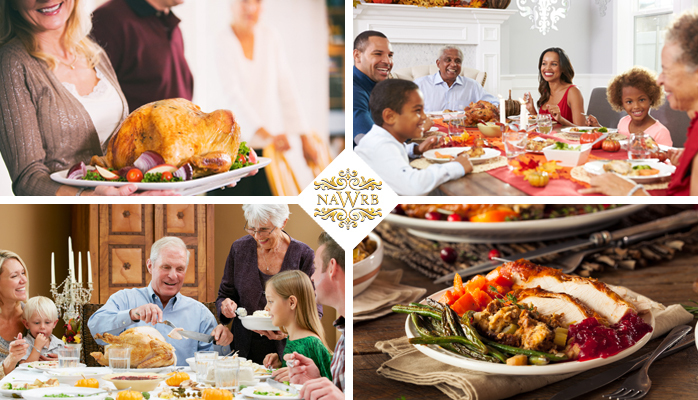 The NAWRB team would like to wish you and your loved ones a happy Thanksgiving filled with laughter, food and good cheer! With our busy lives and careers, we sometimes forget how lucky we are to be able to spend time with our family and friends. It is not often that families have the chance to all get together under one roof, and we must take the time to appreciate moments like these. 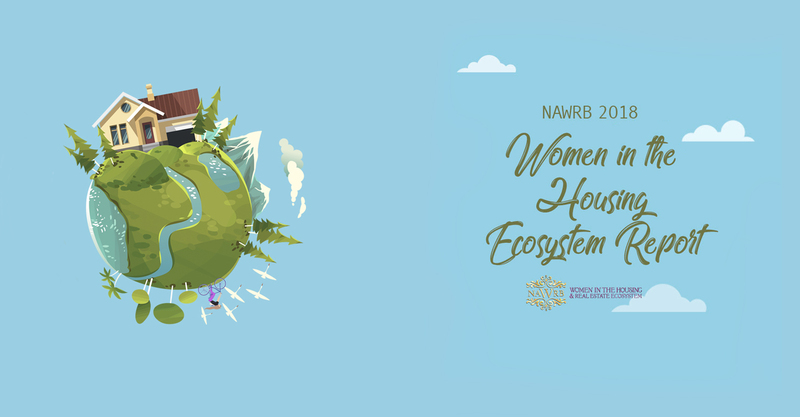 NAWRB’s dedication to women’s diversity and inclusion (D&I) aligns us with companies and organizations with corporate social responsibility. Equally important to internal D&I culture is collaboration between businesses and industries to embrace diversity. One organic result from implementing D&I as a fundamental tenet in the American workplace is bottom line growth. 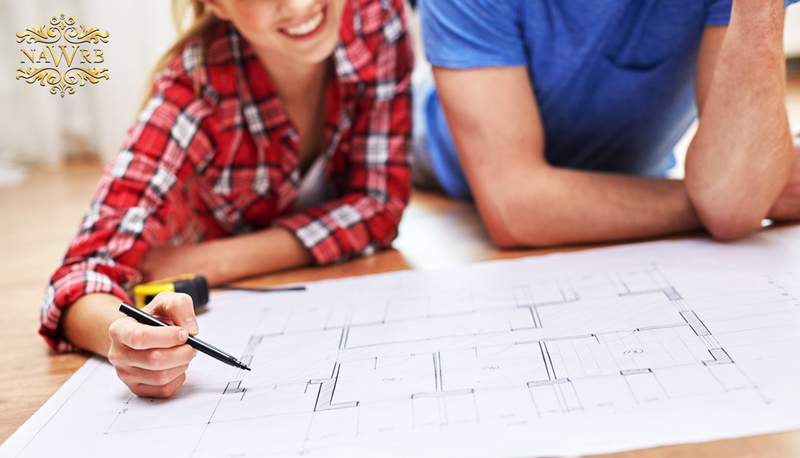 According to the U.S. Census Bureau, new home starts and permits for construction increased in October, marking an end to previously mild upsurges and an indicator that buying activity could be warming up. Housing starts jumped 25.5 percent in October—the highest pace since August 2007—to a seasonally adjusted annual rate of 1.323 million, the Commerce Department reported today. 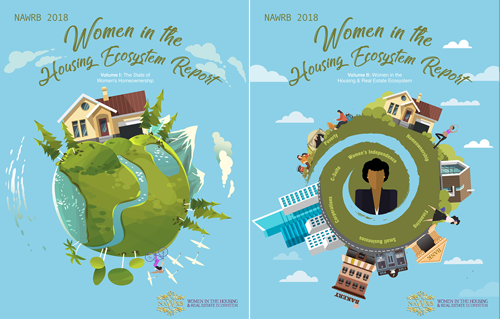 NAWRB Magazine’s Volume 5, Issue 4, Housing Trends, presents the developments women entrepreneurs are building in the housing ecosystem, delineating the consequences of these progressions on their lives, homeownership, careers and industry. 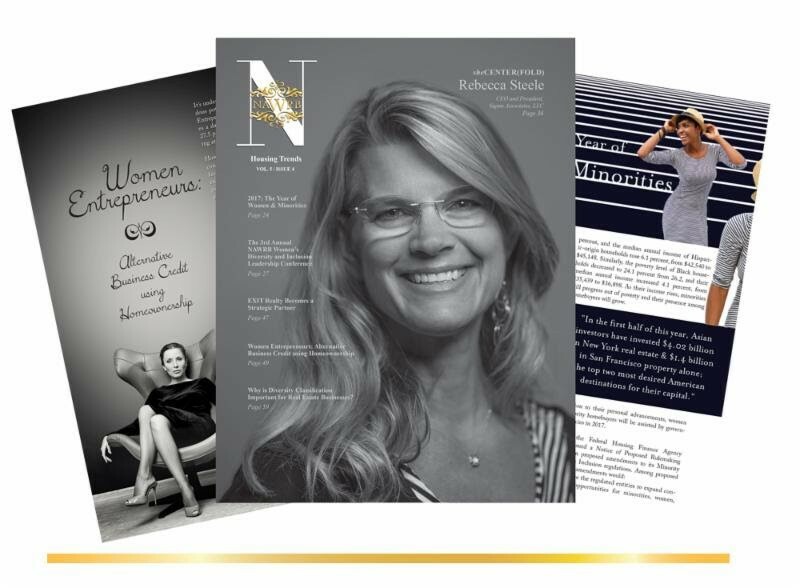 We have the honor and privilege of featuring Rebecca Steele, CEO and President of Sigma Associates, LLC, as this issue’s she(CENTER)FOLD. Recently cleared with prejudice in the 2008 housing crisis, Steele shares the personal story of getting her life back after having her reputation and career questioned. She now looks to the future with renewed energy and excitement. All professionals can learn from Steele’s inside perspective. 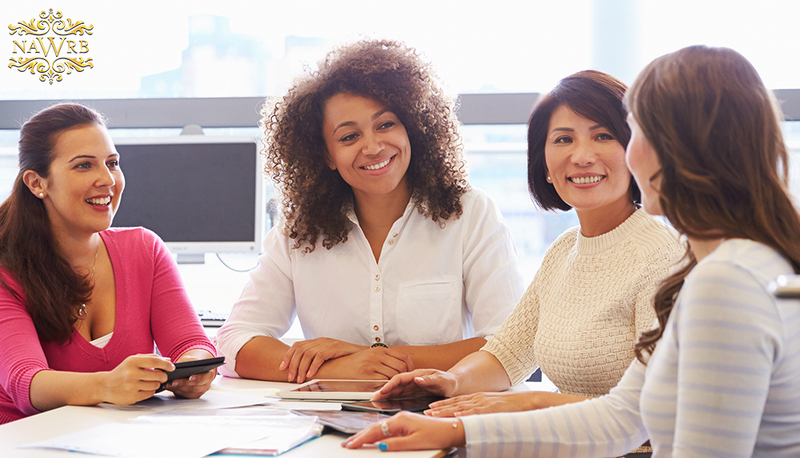 Despite the pay gap, women are increasingly becoming financial powerhouses. Case in point: they now control 51 percent of American wealth, totaling some $14 trillion in assets. One of the ways they’re using those assets to their advantage? Home buying. According to the latest data from Ellie Mae, women are the primary borrowers on 32 percent of all closed mortgage loans. 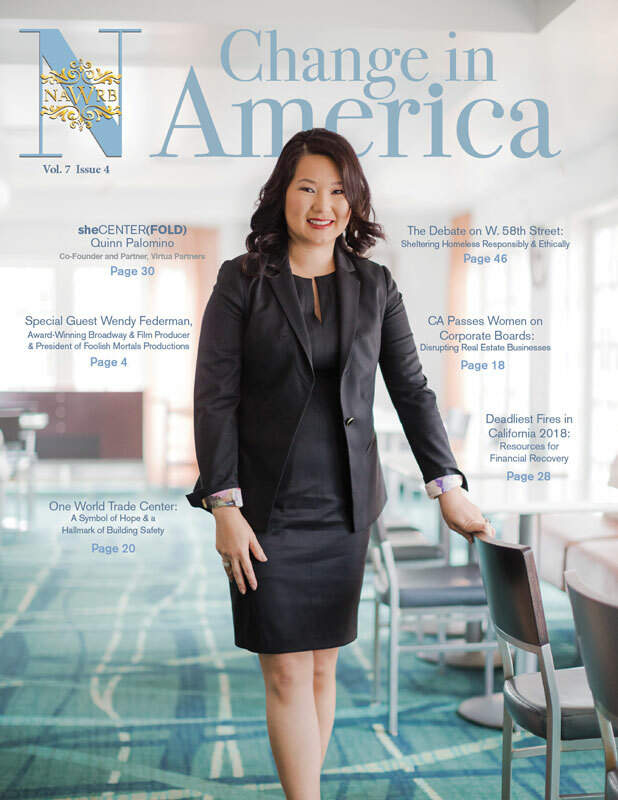 When women take the lead on a home loan, they’re single 61 percent of the time. Buying a home is tough enough with a spouse or a significant other, but it can be even more challenging when flying solo. To better help your clients who are first-time homebuyers, here are some of the most important things you need to keep in mind. One common pitfall many homebuyers often fall into is misjudging how much they can really afford to spend. For single women, that can be especially problematic because they rely on just one income, and it’s often lower than what men earn. The Bureau of Labor Statistics (BLS) puts the median weekly income for women who are working in full-time management or professional positions at $1,019. That adds up to $52,988 annually, or $4,416 a month. By comparison, men make a median annual salary of $73,060. Assuming your client has an annual salary of $52,988, zero debt, and $40,000 for a down payment, they could theoretically afford a $245,900 home if they got a 30-year loan at a rate of 3.39 percent, according to Realtor.com’s home affordability calculator. Their payments would come to approximately $1,224, including the principal and interest, taxes, homeowners’ insurance and private mortgage insurance, leaving them with $3,192 a month to pay the rest of their bills, cover everyday expenses, and save. That seems like plenty of money, but it can go relatively quickly if homeownership results in higher utility costs, or they’re spending more on transportation because they have a longer commute to work. 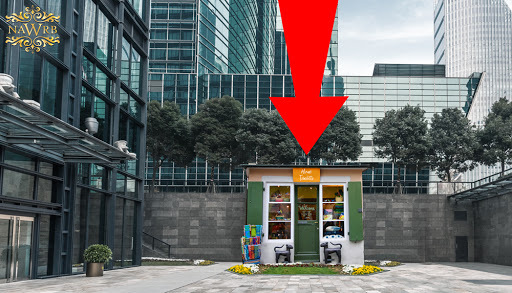 They also have to factor in the added expense of things like maintenance and home repairs, which could put even more of a strain on their financial resources. In that scenario, something like saving for retirement could easily get pushed to the backburner. Considering that women are more likely than men to retire poor, socking away money for retirement isn’t something your clients can afford to skip out on. Before your client makes a move on a home, make sure that it doesn’t come at the expense of their other financial goals. Putting 20 percent down on a home is the generally accepted industry standard, but it is possible to buy a home with less cash out of pocket. An FHA loan, for instance, will allow your client to put down as little as 3.5 percent.That’s tempting for a single woman who’s trying to keep short-term costs as low as possible, but it comes at a price. Taking on an FHA loan or a conventional loan with a down payment of less than 20 percent means paying private mortgage insurance (PMI), which drives up the cost of home buying. Let’s say your client has their eye on a $250,000 home, and they want to get a 30-year, fixed-rate loan at a rate of 3.39 percent. If they put 20 percent down, that eliminates the private mortgage insurance requirement and sets their payment at $1,139, which breaks down to $886 for the principal and interest, $63 for homeowners’ insurance and $190 for property taxes. On the other hand, if they only put 10 percent down, that adds $117 a month for private mortgage insurance. The principal and interest part of their payment increases to $997, so they’re now looking at a payment of $1,367 a month, including the PMI, property taxes and homeowners insurance. If your client is a single woman who’s pulling in a modest salary, a difference of more than $200 a month in the mortgage payment can have a significant impact on their bottom line. Saving up a larger down payment may mean delaying your client’s home purchase, but they will thank you if it allows them to shrink their monthly housing costs in the long term. The 30 million small businesses in the U.S. are the backbone of our economy and should remain a top priority at all times. Challenged by factors from big company competition to the new Department of Labor (DOL) overtime eligibility rule, small businesses often face the threat of being eradicated. 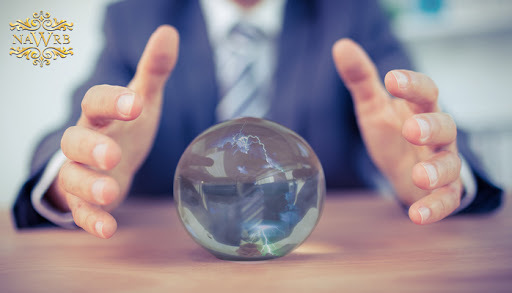 The effect of Donald Trump’s administration on our economy and housing market is approaching, and at the epicenter of several news outlets and economic reflections is the possibility of the gargantuan unknown. Some economists are predicting an economic downturn while others affirm that until measures are taken, we remain in the dark.